If your organization lacks the skills and the expertise to tackle human resources, consider outsourcing HR services. Most organizations today outsource HR services to India, because they do not have the proficiency or the expertise to deal with HR services in-house. Moreover, organizations choose to outsource HR services in order to save on time and effort. HR outsourcing can be mainly classified into two categories. Transaction and administration outsourcing services and consultancy outsourcing services. 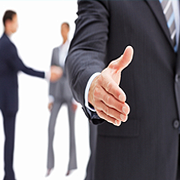 HR transaction outsourcing services include monthly requirements such as, payroll processing. HR consultancy services are some of the other services that can be outsourced to India. Though organizations outsource transaction management and HR consultancy services to India, many organizations still take care of strategic and policy functions within their organization. Organizations who wish to outsource their HR services to India can outsource HR services in different areas such as, administration of employee benefits, payroll processing, administration of fixed assets, management of hardware, database etc. Organizations outsourcing to India, mostly outsource their payroll services and training / survey requirements. When you outsource HR services to India, you can save on time and effort and concentrate on your core business. You will also be able to increase your flexibility to met needs such as, changing and new business conditions and increasing orders for products, services and technologies. By outsourcing a non-core process like HR services, you can concentrate more on increasing customer satisfaction and on increasing the value of your products / services. Outsource HR services to India and benefit from the skills, expertise, latest technology and professional services that India offers in the field of HR. When you outsource HR services to India, you will find your operating performance, risk management and control improving. By outsourcing HR services, you can also gain access to professional services. Your outsourcing provider will be able to provide you with proficient HR services that can bring about a change in your organization. Outsourcing HR services can also help you benefit financially. One good reason for outsourcing HR services to India is that you can save on costs and at the same time get access to high-quality services. When you outsource HR services to India, you can see an improvement in your HR support functions. Outsourcing HR services can help you bring out more effective and efficient processes within your organization. Payroll functions can be completed on time accurately and your outsourcing partner can come up with ingenious ways of improving HR functions in your organization. Outsourcing HR services to India can help you achieve your targets. Your business can become more productive with the help of effective business and HR strategies. You can also on save time, effort and manpower. You can concentrate more on your business and can be relieved from taking care of your HR work in-house. With strategic HR strategies, training programs and development programs, you can retain your employees. Outsourcing HR Services to India can help your organization gain a competitive edge! Contact us to outsource HR services to O2I. Find out more about outsourcing vs. insourcing and which is better for your organization.